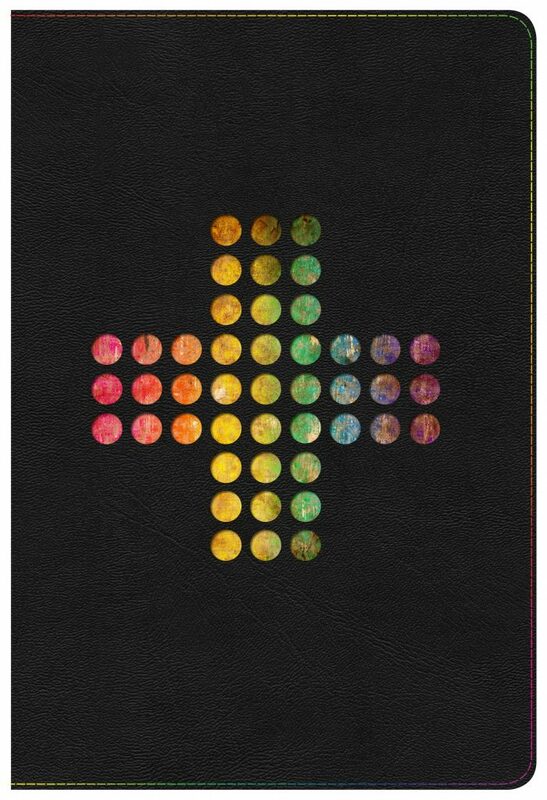 With this Bible, we wanted to introduce a case design that said “Rainbow” but in a non-traditional way. We did that by piercing the case material with a series of holes to form a cross that revealed the multi-colored image on the Bible board underneath. Simple but striking in it’s results. stunning in its simplicity and execution. Additionally, the fine detail of the stitching was not lost on us. This is a great interpretation of the title without necessarily putting the title on the cover. I hope to see it in the flesh. Brilliant!